439 pages | 25 B/W Illus. 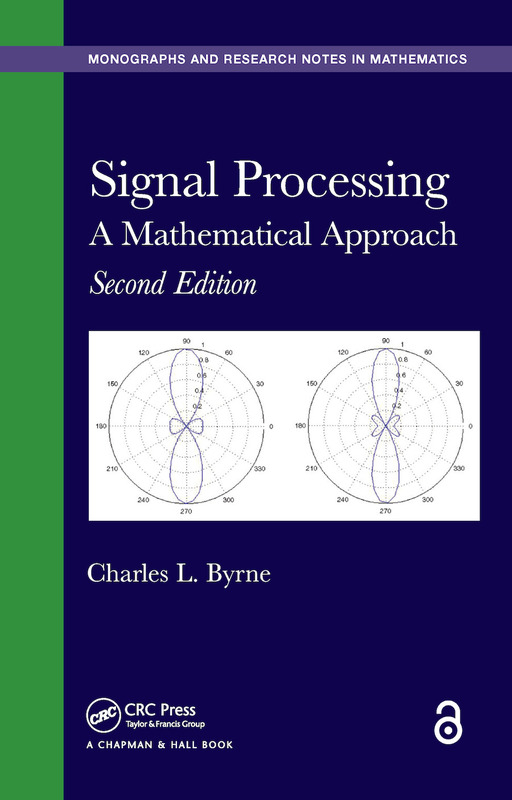 Featuring problems for use in the classroom or practice, Signal Processing: A Mathematical Approach, Second Edition covers topics such as Fourier series and transforms in one and several variables; applications to acoustic and electro-magnetic propagation models, transmission and emission tomography, and image reconstruction; sampling and the limited data problem; matrix methods, singular value decomposition, and data compression; optimization techniques in signal and image reconstruction from projections; autocorrelations and power spectra; high-resolution methods; detection and optimal filtering; and eigenvector-based methods for array processing and statistical filtering, time-frequency analysis, and wavelets. "The second edition of this book further confirms the skill of its author to combine mathematical rigor with intuitive understanding. … All chapters are carefully structured such that the reader can make easily an image on the main ideas of each topic, not only from the mathematical point of view but also regarding intuitive interpretations and applications. In fact, the book can be a very good course for advanced undergraduates who will find in it a kind of handbook of connections between mathematical concepts and applications in signal processing. … The book is worth reading not only by students but also by people wishing to have a broad image on signal processing in its intrinsic relationship with mathematics." Can We Get More Data? Can the Strength Be Zero? When are the BLUE and the LS Estimator the Same?